Order your copy today from Amazon. Click here. 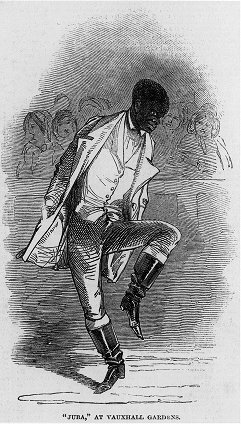 Tap Roots: The Early History of Tap Dancing is an exploration of the cultural, societal, and historical events that influenced the development of Tap dancing. Unique in its breadth and scope, this book traces the development of Tap dancing from ancient India to the Broadway stage in 1903 when the word “Tap” was first used in publicity to describe this new American style of dance. The book not only examines the influence of African tribal dancing, Irish step dancing and English clog dancing upon Tap, but also explores the impact of German, Shaker, Spanish, and Native American dance. There are fascinating stories about the people who were there at Tap’s inception and how they mixed various styles to create a new art form. Filled with numerous antique engravings and illustrations, the book also features photos of some of the earliest contributors to Tap. The book has extensive and comprehensive notes, with a bibliography and index. “Knowles has made a skillful use of historical documents, illustrations and testimony, incorporating biography and anecdote where appropriate to paint a comprehensive yet highly readable portrait of the emergence of this exquisite 20th-century danceform” – Dance Spirit Magazine, November 2002. 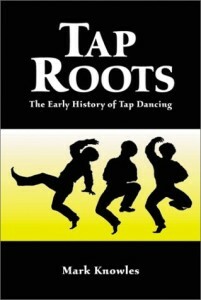 “This book is a superior contribution to the study of tap dancing. Its attention to arcane details about overlooked performers is more than commendable, it’s indispensable. After reading Tap Roots, you’ll never look at tap dancing the same way again. This is a fascinating, scholarly look at the elements which make up a classic dance.” – Classic Images, September 2002. “…this lively and engaging book embodies the vitality, energy, and syncopated rhythm of the dance form it discusses… an excellent research resource for any collection.” Choice, January 2003. “Knowles’ account is different, the most thorough in 40 years…he’s created an illuminating look at a rich history. Even the footnotes brim with salient detail and good stories.” – The Village Voice, September 2003. William Henry Lane “Master Juba,” considered to be the first tap dancer.